I resolve to never write again. Instead, I think I’ll just chill and listen to Jimi Hendrix music. Okay, that’s not my New Year’s resolution. I just wanted to see if you were paying attention. This year my resolution does involve scaling back my writing, though. The past three years my resolutions have focused heavily on writing. That’s all well and good, but I’ve neglected one important aspect of writing: publishing. 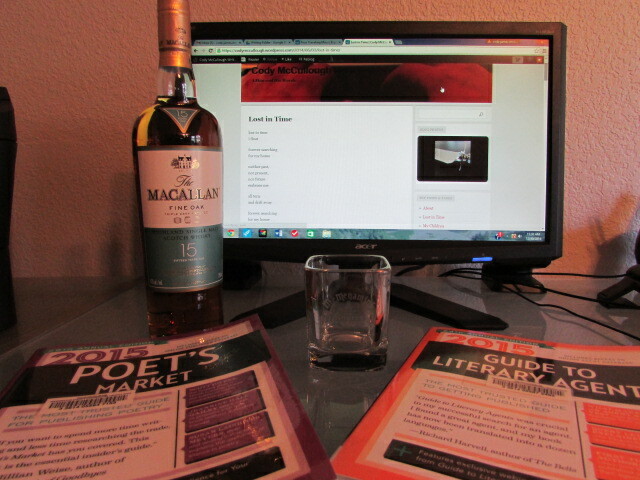 Sure I picked up a copy of the Poet’s Market, and planned to go through it to find the right publications for my work. The problem as it turns out, is that there are just too many publications. Don’t get me wrong, that is a good thing. On the other hand, it also makes coming up with a good short list of publishers difficult. Inevitably, I always lose interest and go back to what is comfortable: writing. This year, however, I resolve to put the work in and focus on publishing. Currently, I have more than 20 unpublished poems from my Lost in Time collection, the fourth and final collection of The Past, Present, and Future. Of course, I still have some other works that have not seen the light of day yet. I suppose the time has come to test the waters of the publishing world with some of my unpublished work. While I’m trying to convince the distributors of information that my work is worth presenting to the consuming public, I suppose I should keep myself busy. That’s why I have decided to publish 10 poems from Lost in Time on this site. As always, I’ll publish on the third day of the month. Pacific Standard Time, of course. Most likely a few minutes after the day begins, as I typically like to do. Then in December, I’ll post an update on my publishing adventures. I do hope that you like my Lost in Time poems as much as I enjoyed writing them. Now, where did I put that copy of the Poet’s Market? Oh, I suppose I should pick up a copy of the 2015 Guide to Literary Agents while I’m at it. For good measure, I imagine I should throw in a bottle of The Macallan. You never know when you’ll have to sip away your sorrows, or toast your successes. As always, I hope for the latter, expect the prior, and will be content if I find myself somewhere in-between.